One must provide at least two documents that could prove your age, identity, and your United States citizenship or your eligibility, currently abiding the law and worked-authorized immigration documents that can prove your immigration status. If you are not a citizen of the United States, or you do not have a current lawful, work-authorized immigration status, one must prove that you have a valid non-work reason for requesting a social security card. The Social Security Administration needs evidence documents, all documents should meet the criteria shown under the evidence. Citizenship. Social Security Administration accepts certain documents as a proof of your citizenship. Such as your birth certificate or passport. Age: The Social Security Administration prefers to see your certificate of birth. Nonetheless, the administration can still accept other documents that reflect your age. The other documents the administration can accept are: Hospital record of your birth, Recent passport, Established religious record and final adoption decree. People who are 12 or older requesting an original Social Security number must appear in person for an interview. 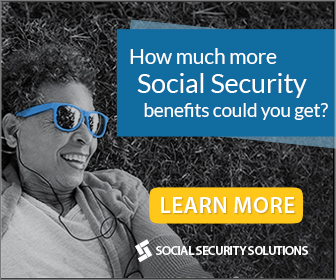 The Social Security Administration will ensure that you do not have a Social Security number yet, to prove this you can use some certain documents. If you have lived outside the United States for an extended period, a current or previous passport, school and/or employment records, or any other record that would show long-term residence outside the United States. If you have lived in the United States and is applying for an original Social Security Number, the Social Security administration may ask you information about the schools you attended or tax records that would show you were never assigned a Social Security number. Identity: The Social Security Administration must see the evidence in the name you opt to show in the replacement Social Security Card. The identity card must be in the recent issuance and must have your name, provides biological information and if able, the identity card must have physical information. These identity cards as follows are considered by the administration: Driver’s license, United States immigration document, Life Insurance Policy, Court-ordered Name change, Final adoption decree, marriage or divorce records, Military ID card, Passport, Employee ID Card, United State Identification Card and Foreign Identification Card. To those who have asked other people to apply for their Social Security Card, one must present an evidence that strongly supports to sign the application on behalf of the one whom the card will be issued. Note: The Social Security Administration does not accept photocopies or notarized copies, one must present the original documents or photocopies. All documents must be current. Social Security Administration cannot also accept a receipt showing you have applied for the document.